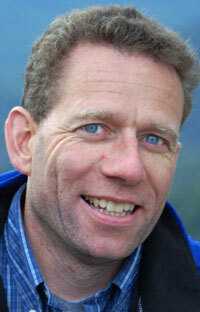 Andy is a registered professional engineer in Alaska and owner of YourCleanEnergy consulting in Anchorage. He has significant experience in the financial evaluation and design of renewable energy systems and energy efficiency improvements. He has lived and worked in Alaska since 1998 and has focused for the past seven years on identifying and designing cost effective renewable energy systems for commercial, municipal, and community clients. Andy is a graduate in civil engineering from Penn State University and worked previously as a project engineer for Buchart-Horn in Pennsylvania; Black & Veatch in San Diego and Boston; and for HDR Alaska. He is an active member of the American Solar Energy Society and regularly teaches workshops on the theory, design and installation of renewable energy technologies suitable for northern climates.